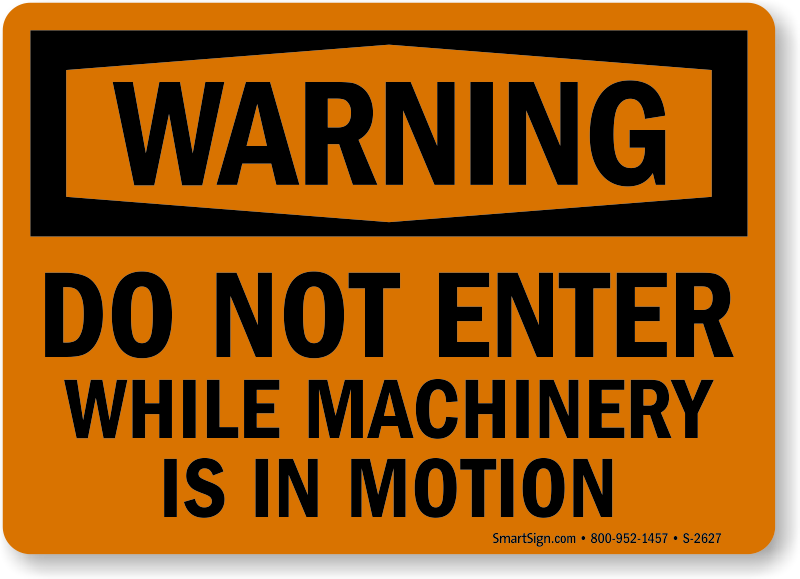 Workers are surrounded by hazards in an industrial facility. 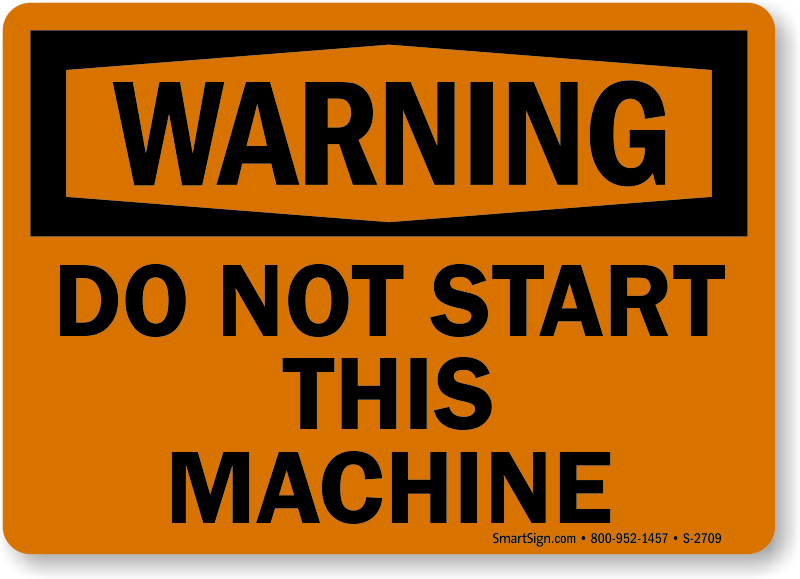 It is better to issue a warning before it is too late! 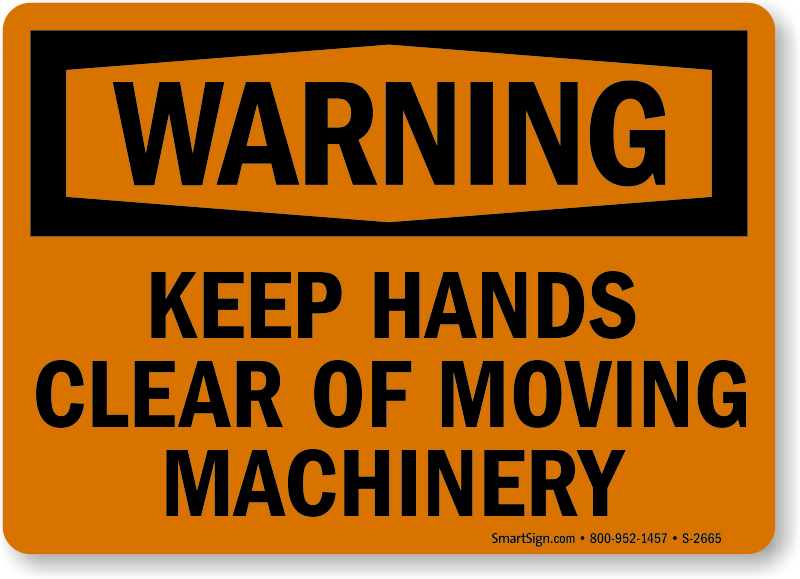 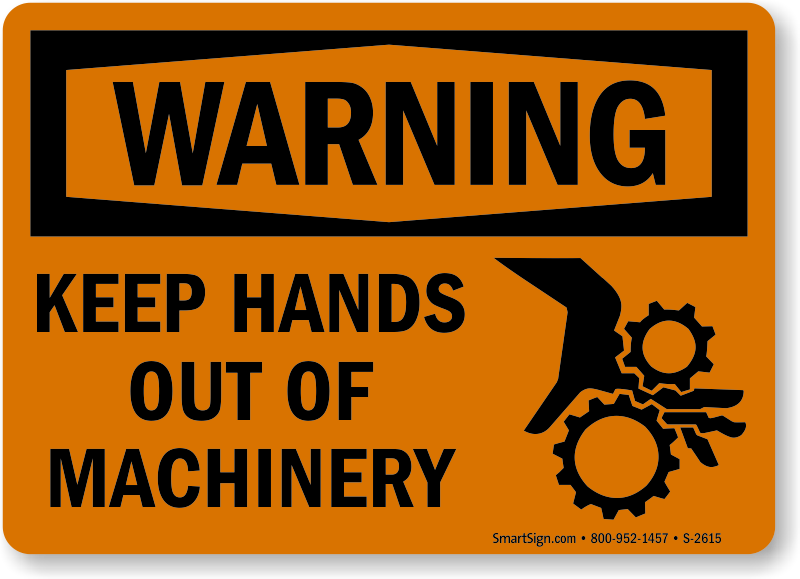 We offer a wide variety of Machinery Safety Labels in our gallery to keep workers safe and minimize your liabilities. 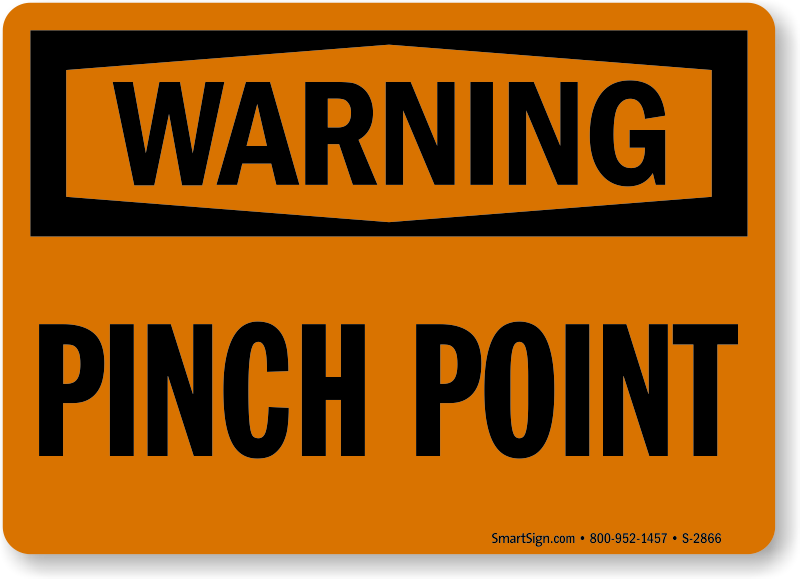 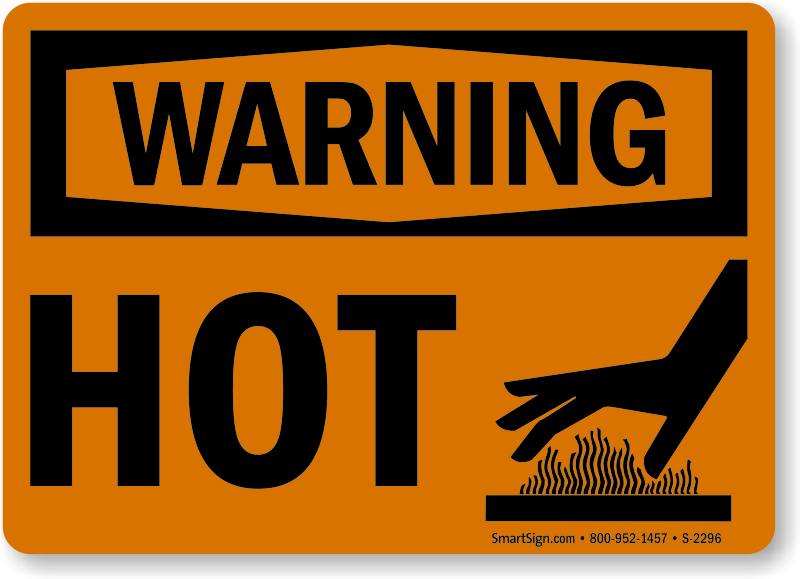 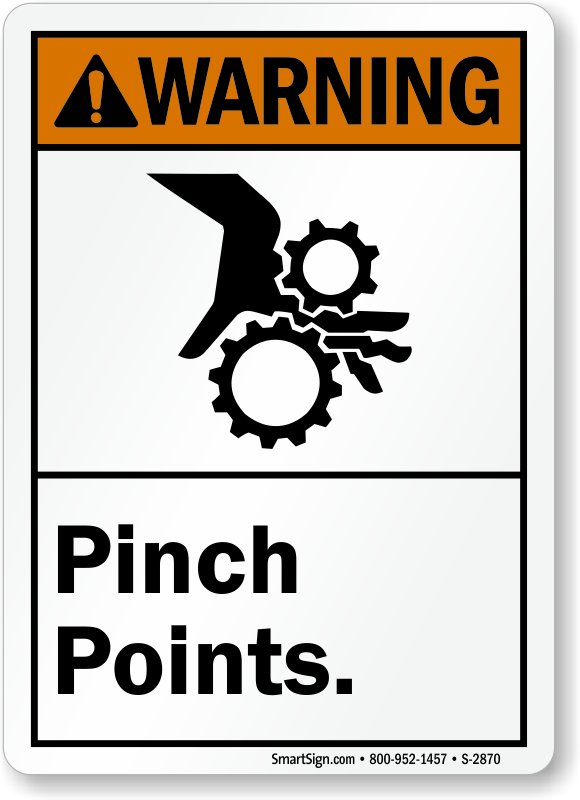 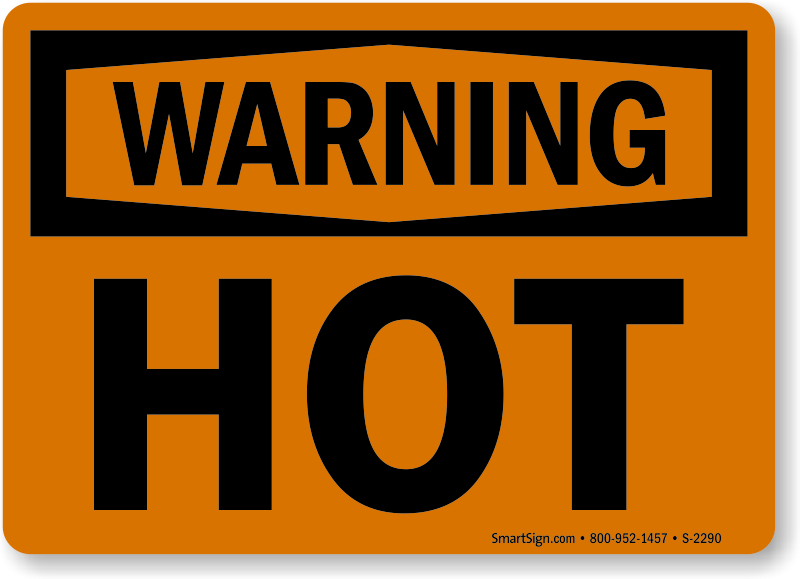 From warning against hot surface to warning against pinch points, we have a host of messages you can choose from. 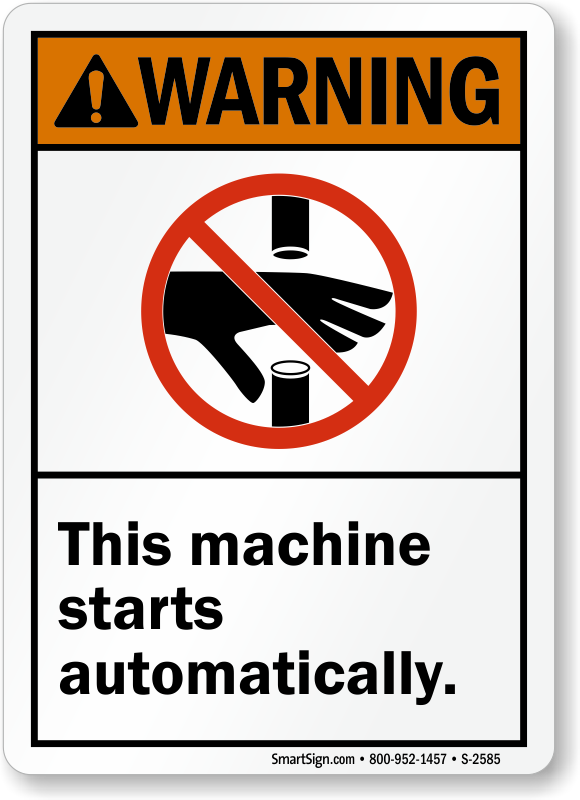 Posting safety labels is not optional; it is required by law. 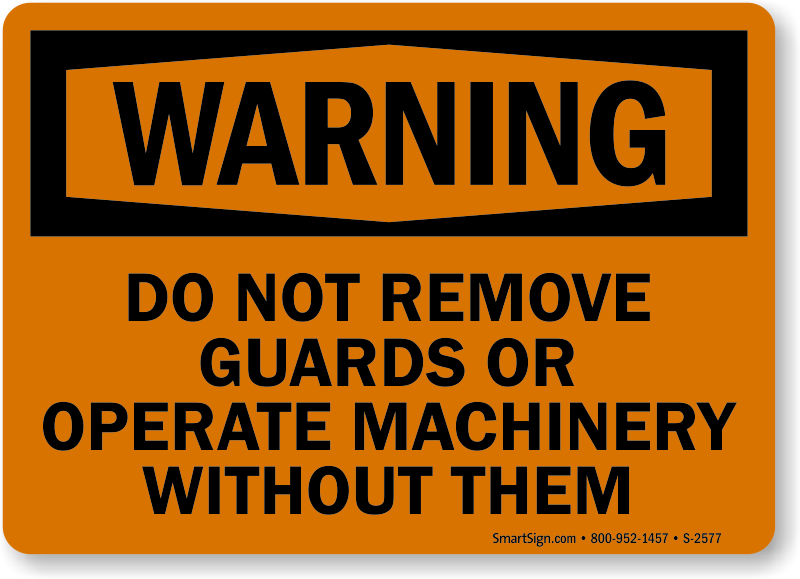 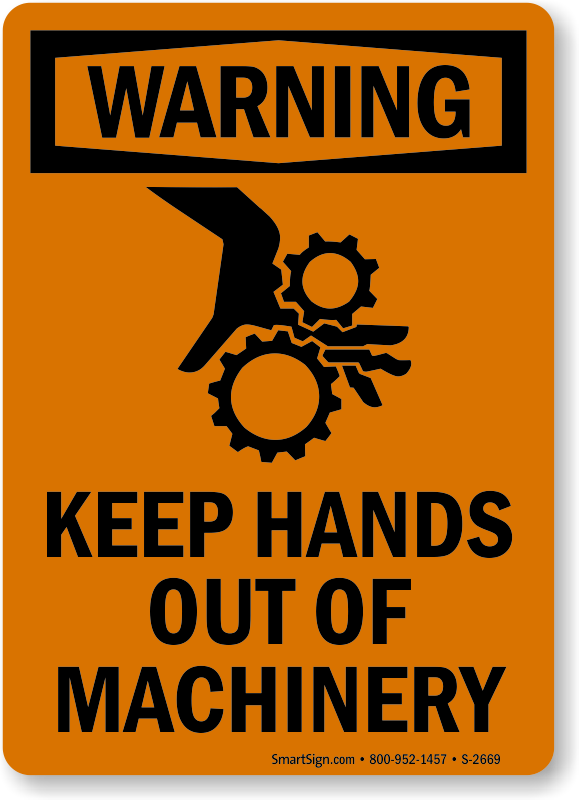 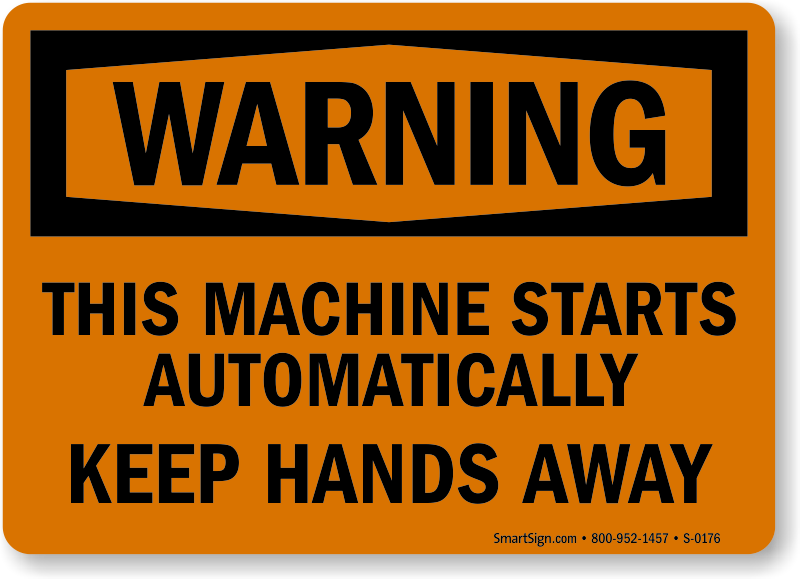 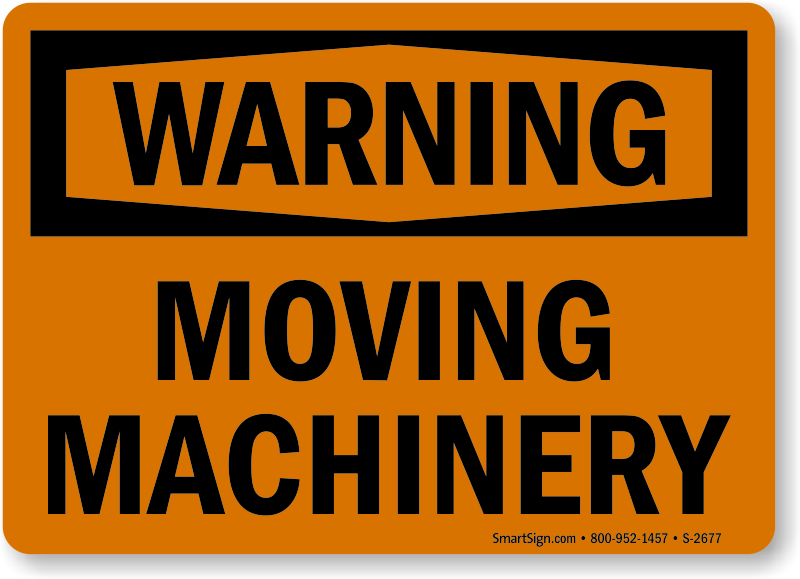 Improper safety arrangements like not posting machine safety labels wherever required are common citable incidences. 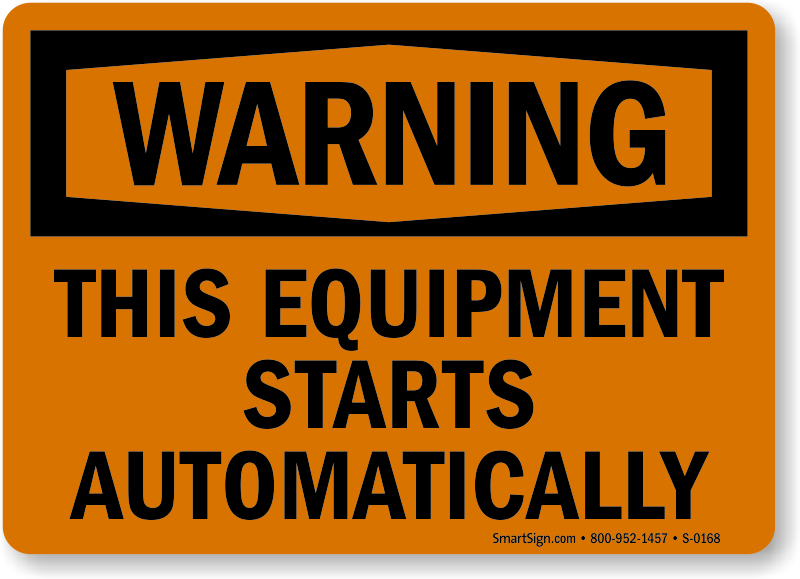 Putting up labels is the best solution to escape from hefty fines levied by safety inspectors. 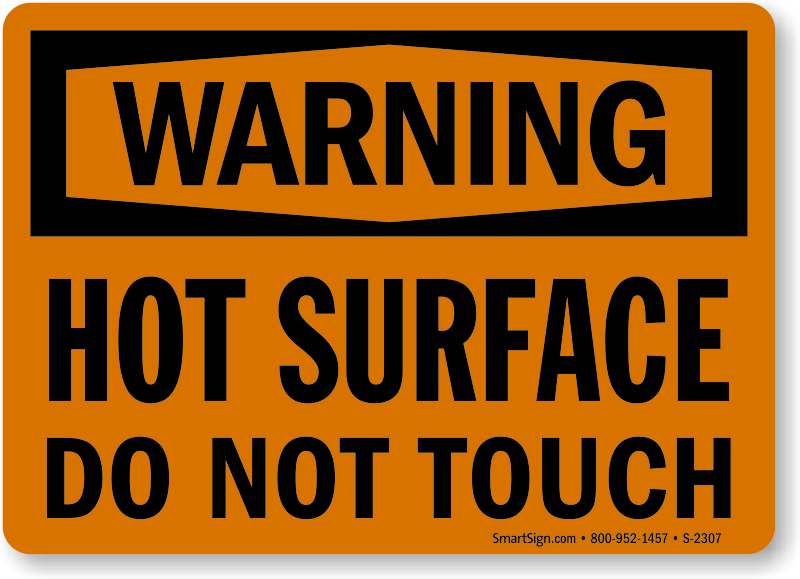 • We have over 100 different ready-to-ship templates available in our gallery. 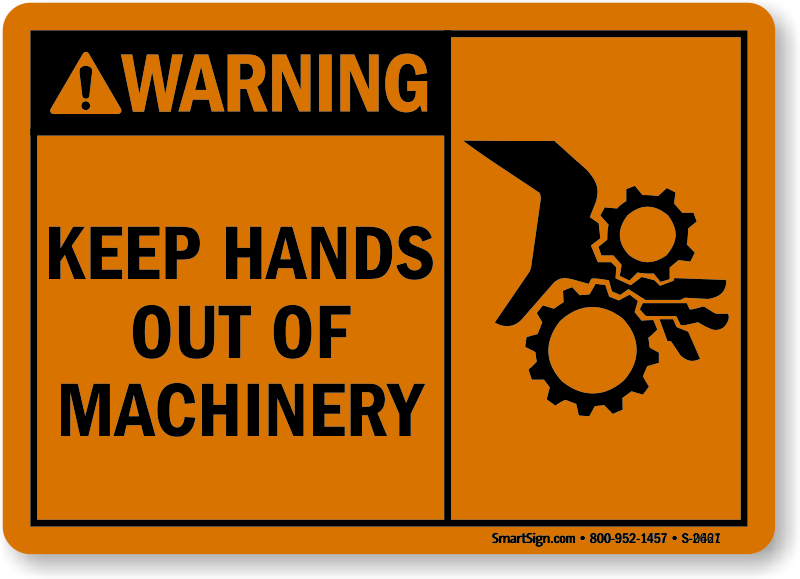 • Most labels are designed as per ANSI or OSHA design guidelines. 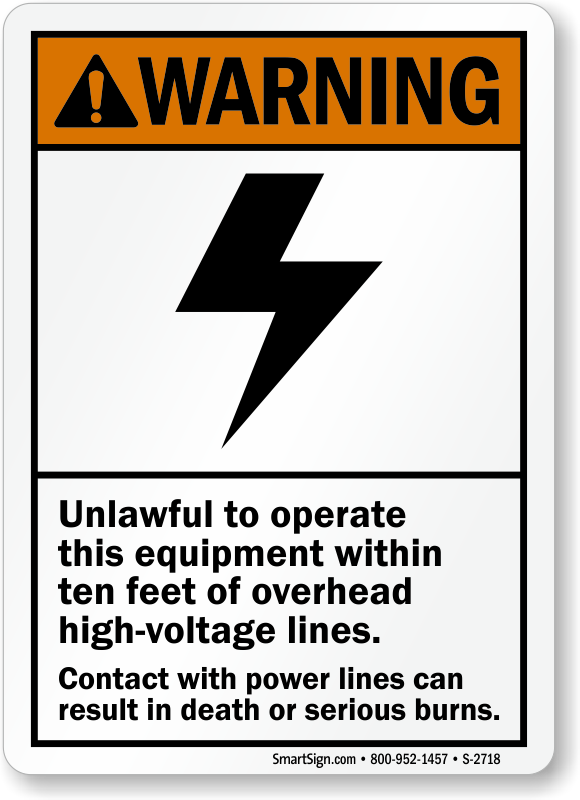 Give a boost to your safety program by installing compliant labels. 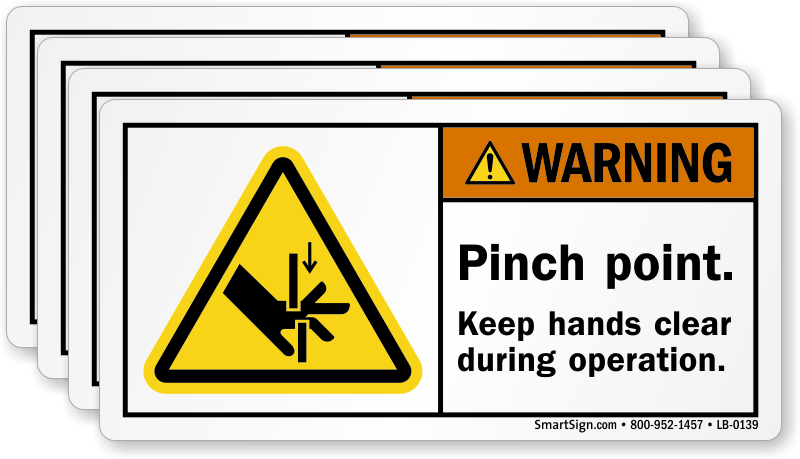 • Choose from adhesive paper labels or adhesive vinyl labels. 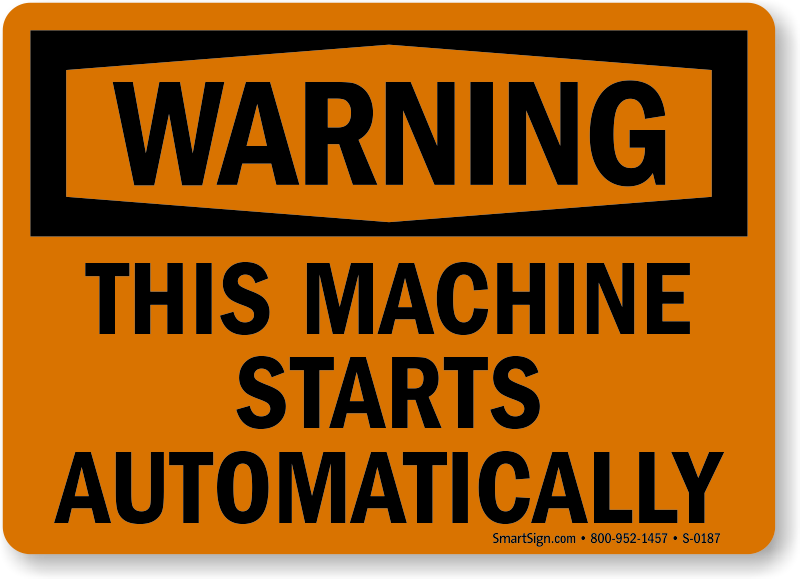 Vinyl labels also come with optional lamination film making the label more tolerant towards water, chemicals and weather abuse. 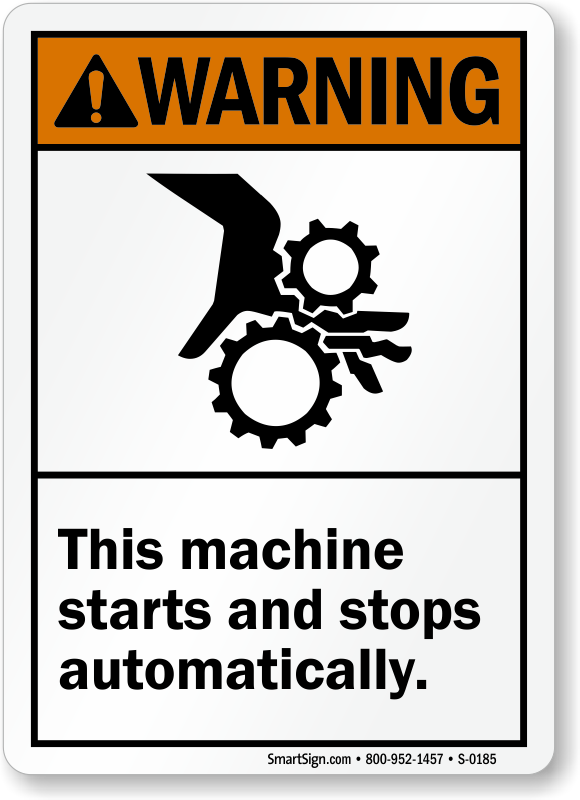 • A wide range of size options gives you the freedom to place these labels in any type of setting or on a machine itself. 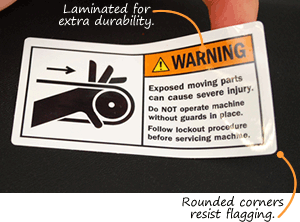 The picture on this sticker makes you think safety. 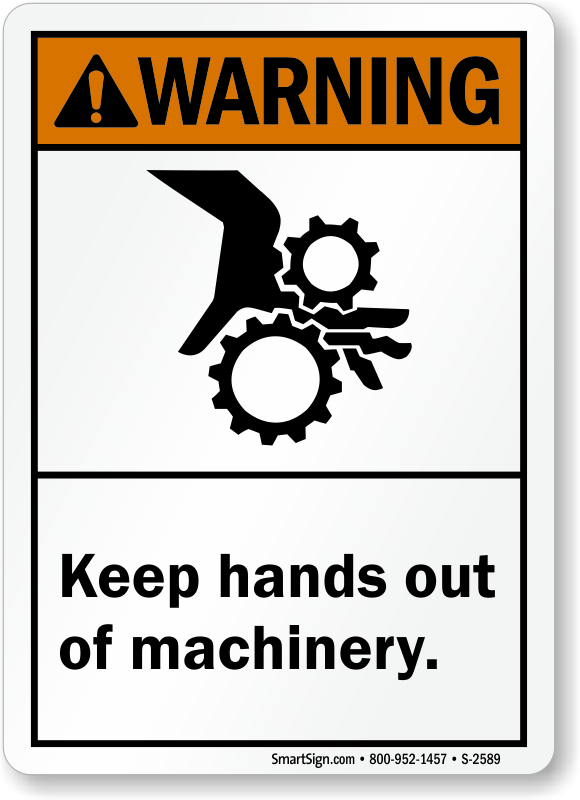 The order was received as promised and the labels are a good quality.